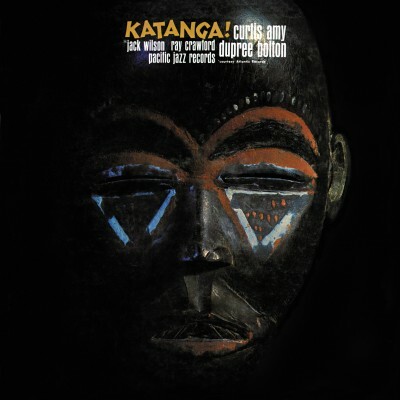 Katanga is a very key soul jazz record at the same time unknown by maintream audience and for which jazz fans are searching since years desperately. This session is the sixth and last one recorded by Curis Amy in his Pacific period (between 1960 and 1963). Between hard bop and soul Jazz this is a unique and legendary record. The only presence of trumpetist Dupree Bolton, who is so rare on records and so absent from the jazz recording sessions as he spent most of his time in jail, justifies the key interest of this record. Fans of Clifford Brown and Fats Navarro will praise this record. Curtis Amy is of course imperial on both soprano and tenor. “Katanga” and “Lonely Woman” are both jewels and both composed by Curtis Amy. A lot of colours and a pure sound for this astonishing jazz session. On the guitar Ray Crawford, on the piano Jack Wilson, on bass Victor Gaskin and on drums Doug Sides. The record has been recorded in Los Angeles, a very original west coast sound.